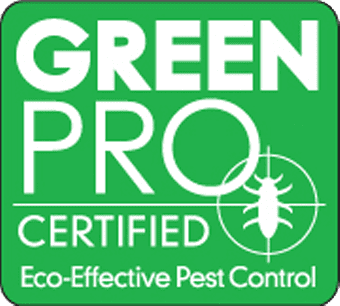 MMPC is proud to provide customized, flexible, environmentally-safe pest control solutions for residential, commercial and corporate clients in New York City, Long Island, Westchester, New Jersey and Connecticut. We also offer Consultative Services and Project Management Services to expedite turnkey solutions and provide ongoing support through a client’s treatment process. If you’re uncertain what pest you’re dealing with, we can provide specimen identification through our Free Pest ID Center or through onsite assessment by our Forensic Entomology Team. Learn more about MMPC through our Press and from client testimonials on Yelp. Home is your refuge — where you escape the outside world after a long day. It’s no place for pests, or chemicals. Which is why your MMPC team will explore every option to treat your home, with EPA-approved, plant oil based pesticides used as a final resort only. All products and methods implemented by MMPC are free of harsh chemicals, thus ensuring that your health, and the health of your family, is not compromised. It’s an approach we consistently apply as part of our residential services — from single- and multi-family residences, houses, apartments, co-ops and condos, to services and support for property managers, boards, associations and senior care facilities — including assisted living, managed care and nursing homes. Contact our team to find out how we can put our Residential Services to work for you. What is Elderly Care IPM? Elderly Care IPM mirrors the core beliefs of general IPM standards, with focused attention to the health concerns specific to elderly residents. Nursing homes, assisted-living homes, and independent housing for elderly residents are often self-contained micro-communities, offering amenities that include kitchens and dining areas, shops, salons, and theatres in addition to apartment-style housing. These micro-communities demand that care be taken on a broader scale to ensure everyone’s health and safety. When treating such environments, it is vital to determine if some residents are sensitive to certain pest management methods. The Trinity Church of New York asked MMPC to diagnose and solve a bedbug outbreak in one of their senior housing residences (average occupant age, 81) in lower Manhattan. The residence had 251 residential units, and the infestation had already affected over 10% of them. MMPC first mapped out all of the affected units to identify the infestation pattern and any common factors; then we sealed all affected and adjacent units to contain the infestation. This allowed us to isolate and treat the infested spaces, eradicating the problem completely in six weeks. A property manager and sponsor of a luxury rental building in upper Manhattan found that mice were present in almost half of the apartments. After contracting three other pest control firms who simply used poison and traps to treat the symptoms, they called MMPC. We spent a week investigating the underlying problems that enabled the mice to enter and infest the building, before designing a 9 week program that methodically tackled each of the structural issues identified. The complex is now completely rodent-free. Discretion defines us, and all our services. This becomes critical when treating pest issues in commercial environments, where retailers have a reputation to uphold, and issues like a bedbug or rodent sighting can undermine business for a prolonged period. MMPC is sensitive to this concern and develops strategies to combat and avert pest issues in a number of commercial settings, directed by our entomologists and technicians, who have real-world experience and deep knowledge of all infestation scenarios. In all cases, inspections and preventative measures are crucial to safeguarding the property, and early detection is essential to minimizing and solving the infestation. Contact our team to find out how we can put our Commercial Services to work for you. After eight frustrating months, a national clothing brand was experiencing a recurring bed bug problem, despite multiple visits and treatments from various pest control companies. After our Canine Inspection team was called in to investigate, MMPC were able to determine that the problem persisted since the bed bugs were coming from an in-store clothing donation box, and an employee who was inadvertently carrying the pests. This case reinforced the importance of getting to the root of pest control issues, rather than simply trying to treat the symptoms. By taking the time to identify the sources, MMPC was finally able to eradicate the pests that had been plaguing the premises. There’s a certain delicacy required when addressing the pest problems faced by corporate clients. Accordingly we determine, design and deliver our effective, eco-friendly solutions with an emphasis on discretion and brand protection. Every entomologist and technician at MMPC has extensive experience in the concerns and practices relating to pest management issues in corporate spaces, and work toward long-term solutions rather than a blanket chemical spray approach. First, an initial inspection by an MMPC entomologist will determine the scope of the issue; how the pest is entering the space, what sustains them, where structural gaps exist. These findings will shape various exploratory methods that best eradicate the infestation, and prevent a reoccurrence. Contact our team to find out how we can put our Corporate Services to work for you. After reported bedbug sightings and employee complaints about mysterious bites, a commercial investment bank hired MMPC to look into a potential infestation across three floors of a 60 story high-rise. To prevent spreading to other floors, we acted fast, dispatching our certified Canine Inspection teams to investigate the same afternoon we were called. The locations involved were highly trafficked public areas, therefore the inspection was conducted outside of normal business hours. Within hours, we confirmed the source of the infestation and formed a comprehensive treatment plan. Working quickly and discreetly, MMPC made the difference between seamless business as usual and a PR nightmare. Dealing with a pest problem is stressful, whether at home or at work. Especially when it’s unexpected. For peace of mind in these tense moments, MMPC has a customer service team available 7 days a week to answer your calls, questions and worries. Our Emergency Response Teams are there to help you deal with surprise or unwelcome issues at any point during your pest management treatment. Contact our team to find out how we can put our Emergency Response Teams to work for you. In addition to being licensed, insured, and certified, every technician at MMPC has undergone a formal Pest Safety Program, enabling them to learn how to minimize accidents and contaminations, and avoid damage to our clients’ property. The Pest Safety Program aligns with codes and practices established by the Integrated Pest Management (IPM) Program, including key information such as proper pesticide disposal, and principles of care that our technicians implement, to guarantee the safety and integrity of every space they treat, from inspection through clean-up. Through speaking engagements and informational sessions, MMPC educates and trains the staff and management teams of companies, corporations and institutions in environmentally-safe pest control methods. Instructional presentations hosted by MMPC technicians enable us to share knowledge and deepen organizational expertise, while enabling and enhancing ongoing maintenance of MMPC pest control solutions. These sessions follow the core goals of our IPM Program, which stress the importance of communication between the client and MMPC in order to maintain a pest-free environment. From airlines to e-commerce, MMPC has worked with hundreds of corporate clients in various sectors, to establish pest response programs. Collaborating closely with HR Departments, we make sure company policies are respected, especially regarding confidentiality and employee protection, while establishing our Corporate Response Protocols for pest management. These resemble emergency escape plans set up by the fire department. In both scenarios, a team of professionals works with the company to devise a procedure that everyone follows when a related emergency arises. Everything is addressed and organized into a simple phased flowchart that methodically and strategically addresses all issues and possible scenarios. Pest issues vary from space to space; so do treatment methods. Our team of entomologists and technicians is experienced in delivering truly Customized Solutions and options to a wide range of clients and locations, since MMPC consistently keeps pace with the latest pest management treatments and technologies. Our team are forensic detectives rather than traditional exterminators, pinpointing the exact issue, the pest source, and identifying the tactic that will eliminate the current and any future potential infestations. We have developed a number of environmentally-safe methods to combat pest problems of any capacity in any type of space, and emphasize these methods over indiscriminate spraying. Contact our team to find out how we can put our Customized Solutions to work for you. A client called us after dealing with cluster flies in her apartment for the past eight months, despite multiple treatment efforts. Even after moving to an entirely new apartment she continued seeing the flies. A thorough investigation and careful questioning revealed that she originally came into contact with the flies while on a trip overseas, and had unwittingly brought them home in her luggage, from where they’d laid eggs on her personal belongings and furniture. The extreme nature of the case and the relative rarity of this pest in urban environments demanded an especially aggressive plan: as it was winter, we heated up the apartment to hasten the hatching of all remaining eggs, removed all belongings offsite for gas fumigation, while intensively treating the living space over three weeks to tackle remaining mature flies. The assiduous investigation and creative treatments completely eliminated all cluster flies. Some pest problems can be more minutely localized. MMPC were called in to investigate a very valuable, 20 foot long custom acacia burl wood table, increasingly ridded with pinhole-sized bites thanks to Powderpost Beetles residing within the wood. The table had been originally hoisted to the client’s penthouse apartment by a 15 story crane, but neither client nor interior designer wanted to pay to transport or discard the piece. MMPC devised a plan to save the table onsite, making use of a large outdoor terrace to construct a fumigation chamber to house the table while it underwent treatment. Wintertime temperatures and the sensitivity of the wood meant installing a regulator to maintain chamber temperatures around 95 degrees Fahrenheit. After 24 hours of fumigation the beetle problem was fully resolved and the table was saved. Our commitment to IPM solutions is a mark of the value we place on our client relationships. 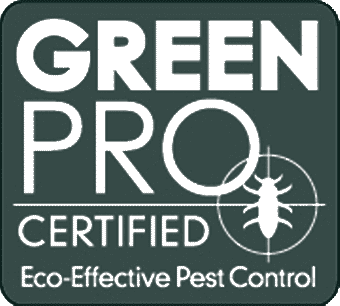 We establish effective communication, and educate clients on how to utilize environmentally-safe, durable pest management methods on their own. That’s the goal of our Consultative Services, achieved through workshops and educational sessions for offices, businesses, and corporations. Training in pest management prevention and treatment techniques is the difference between a small office nuisance, and a pest infestation you bring home with you. Consultative Services exist to stop the problem before it starts, and give you the confidence to carry out safe, effective practices in your home and workspace. Contact our team to find out how we can put our Consultative Services to work for you. A clothing showroom was suffering from a fabric-eating carpet beetle infestation during the worst possible time: Fashion Week. Due to the nature of the infestation, the sensitivity of the clothing/fabric, and the impending deadline, our team had to respond rapidly, while devising a plan to save the outfits to be worn on the runway. We duly bagged all fabrics, and applied a flash-freezing Cryonite treatment, which killed the adult beetles and larvae but preserved even the most delicate garments. Meanwhile, the showroom, and all items inside — office supplies, furniture, equipment — were treated with gas. Under the expert guidance of a team of eight technicians, the entire process took barely 12 hours to complete — from initial inspection to treatment — while the inventive solution helped establish a pest protection protocol to prevent future fabric infestations. An airline called us to take care of a recurring bed bug problem in its company ‘crash pads’, hotel-like accommodations for its flight crew. Aside from staff emotional distress, the problem was affecting the efficiency of the airline, with employees taking days off in order to combat the problem. We were hired to strategize a company-wide response to employee complaints to provide peace of mind to both airline and employees. Simultaneously, a prevention program was put in place, involving the retraining of housekeeping staff, and ways to minimize the spread of bed bugs between persons and locations. Our Project Management Services educate architects, engineers, and construction teams on how best to design and build their structures with pest prevention in mind. Since a sound, sealed building is the foundation of a pest-free zone, considering how to pest-proof a structure in the early stages is vital. We use LEED certified teaching methods to guarantee the highest level of efficiency and sustainability; our knowledge and recommendations provide insight into top-of-the-line pest prevention methods that integrate with construction. Contact our team to find out how we can put our project management services to work for you. Staten Island is made up mostly of wetlands, where soft soil often causes damp basements — and termite infestations. We were enlisted by a housing developer to investigate ways to preclude these problems on their planned construction site. Together, we devised two preventative solutions. First, we pre-treated the wood designated for construction to repel termites, as well as applying a repellant to wood already in place. Secondly, a liquid solution was developed to pre-treat the surrounding soil, deterring termites from entering through the basement. Finally, termite bait stations were laid out to reel in any existing invasions. Understand the nature of the pest, and you’ll be able to understand and treat the pest issue. That’s the maxim of our Forensic Entomology Team, where each team member approaches each case with a detective’s mindset — examining photos and details, determining behavioral patterns, and delivering the most appropriate, effective solution for the problem. Years of first-hand experience drives and defines this methodical, step-by-step approach: identifying the insect and bites, diagnosing the issue, pinpointing the cause, monitoring and treating it. It’s the most effective way to get to the root of your pest issues and provide a long-term cure. Contact us to find out how we can put our Forensic Entomology Team to work for you. A resident had experienced persistent bed bug-like bites for two years, despite a history of positive bed bug identification and three subsequent treatments. After a brief investigation, we were able to determine that the bites were actually coming from rodent mites, entering through small cracks in the baseboards. To combat the issue, we used various pest exclusion methods, including thoroughly sealing the unit, and injecting an eco-safe pesticide dust into the wall cavities. By installing monitoring devices both inside and outside the unit, we were able to track the behavior of the rodent mites, and determine if and when the issue stopped. Finally, a strategy was put in place with building management to exterminate rodents and exclude the individual unit and the two year mystery was solved. Questions about our customized services? We’ll assess your situation and find the right solution for you.